Among the endless reports about the future made at the IAA in 2018, not very noticeable left the statement of the company Hyundai. But the Koreans in cooperation with the company H2 Energy (H2E) stated that from 2019 to 2023 will supply as much as one thousand electric heavy goods vehicles in Switzerland. 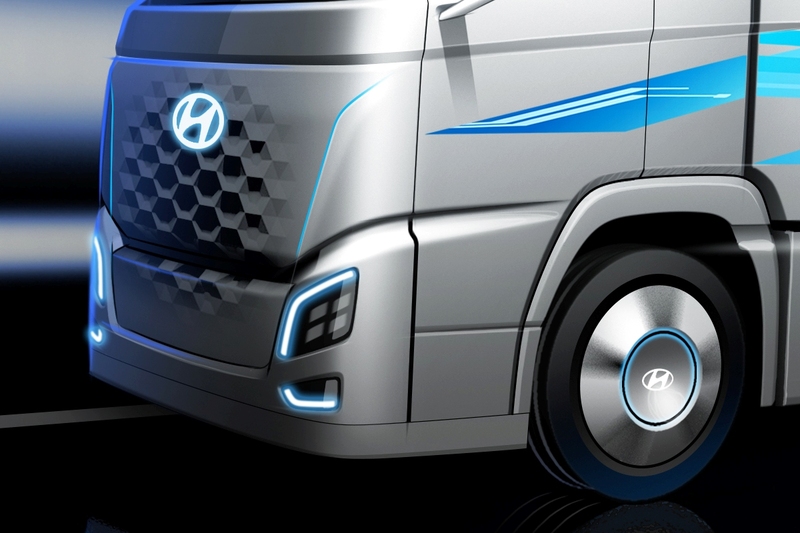 Judging by the teaser, the new three-axle trucks of Hyundai, called Nexo will have a slick shape and covered with aerodynamic sidewall. But chips like cameras instead of rear view mirrors they will not. The main difference from pure electric competitors is the fact that the Nexo family Hyundai will run on hydrogen. They will use fuel cells that the company H2 Energy. The car scheme standard: electric motors, rotating wheels, lithium-ion batteries. Plus the very cell that converts hydrogen into electricity, and eight cylinders with it. Therefore, the mass of the truck even higher than conventional electric. What for to fence such kitchen garden? By the way, technical information is published little. It is only known that the total power output of 190 kW. Power reserve approximately 400 km (the length of Switzerland). In addition, the company plans to expand line of environmentally friendly trucks. With this goal, Hyundai is already developing srednetonnazhnye with a payload of four to five tons, which can be used in the public sector.